Netflix was down all over the world on Monday and the users were unable to access the service due to the outage. Though the issue of the outage has been fixed and Netflix has confirmed that the issue has been resolved now. Netflix is now no longer facing the issue and they have confirmed this in Netflix's status page. The company, in their Tweet, said that they were aware of the issue and they have fixed the issue very shortly. According to the Outage Report, the issue in the Netflix affected the users across The United States and Europe. Outage report tracks the reports of data when the internet services are down. 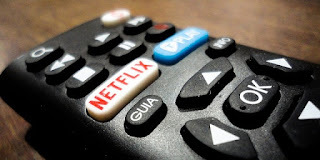 Netflix is the streaming service for the home television viewers. It was started 20 years ago. It was subscription based service and started streaming services in 2007 that allows to watch and download movies and video contents without any ads. These days, it has become the biggest technology in the area of entertainment and they have been producing the critically acclaimed TV shows. like Daredevil, House of Cards, Stranger Things, etc. They have a huge collection of contents from the different genre, TV shows, movies, etc.